Online ordering menu for Wolfie's Deli & Restaurant. 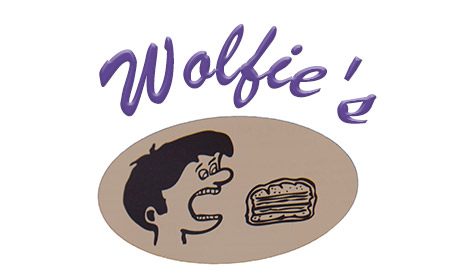 Here at Wolfie's We Pride Ourselves on Great Food! In March of 1968 our father’s lifelong dream of opening a restaurant and New York style delicatessen came true. Our father and mother opened our first restaurant in Bricktown featuring our world famous kosher style HOT CORNED BEEF AND HOT PASTRAMI. Although our parents have passed away we have continued to grow, but still continue to serve our parent’s old fashioned homemade recipes. Enjoy Breakfast, Lunch or Dinner as we will continue to do our best to serve you the finest food and beverages as we have done for the past 47 years. Just recently we have our third generation of Wolf’s learning the business. With your help by spreading the word, telling your friends about our good food, this will hopefully go on for generations to come. Order Now!